The European Wildcat (Felis silvestris silvestris) is a subspecies of the wildcat, that inhabits forests of Western, Central and Eastern Europe, as well as in Scotland and Turkey; it has been extirpated from Scandinavia, England, and Wales. 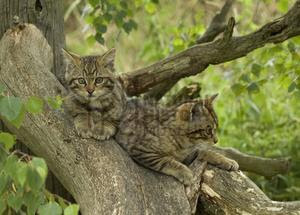 Its physical appearance is much bulkier than that of the African Wildcat and the Domestic Cat. The thick fur and size are distinguishing traits; the Wildcat normally would not be mistaken for the Domestic Cat, although in practice it is less clear whether the two are correctly distinguished (one study showed an error rate of 39%). In contrast to the Domestic Cat, it is most active in the daytime. 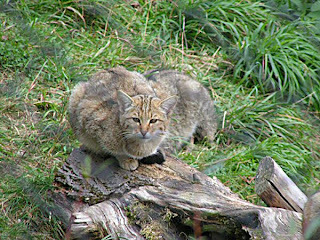 Wildcats were common in the European Pleistocene era; when the ice vanished, they became adapted to a life in dense forests. In most European countries they have become very rare. Although legally protected, they are still shot by hunters mistaking them for domestic cats. In Scotland, interbreeding with feral cats is also a threat to the wild population. It is not known to what extent the interbreeding has affected or replaced the wild population, or indeed whether there are any "pure" Wildcats left at all. Still others have suggested that since both species happily interbreed, and since hybrid domestic cats speedily revert to wild type (tabby or melanistic and large in size) the exact genetic purity of the cat is less important than its existence in the ecosystem. Two forms coexisted in large numbers in the Iberian Peninsula: the common European form, north of the Douro and Ebro rivers, and the giant Iberian form, previously considered a different subspecies F. s. tartessia, in the rest of the territory. The last is one of the heaviest subspecies of Felis silvestris; In his book Pleistocene Mammals of Europe (1963), palaeontologist Dr. Björn Kurtén noted that this subspecies conserves the same size of the form that lived in all Europe during the Pleistocene. 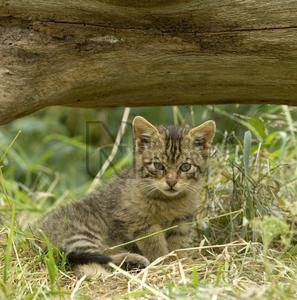 Although Spain and Portugal are the West European countries with the greatest population of wild cats, the animals in these region are threatened by breeding with feral cats and loss of habitat. The easternmost populations, in Ukraine, Moldova, and the Caucasus, have low levels of domestic cat hybridization.